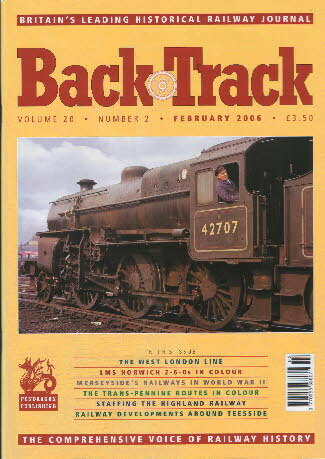 Railway Magazine | BackTrack Feb 2006 journal from Pendragon Publishing. Railway Damage and Disruption in World War II: Merseyside - Part 1 - Ben Brooksbank chronicles the attacks on Liverpool and Birkenhead and how they affected the railways. The first part of this series describes the Merseyside railway system.